Disclaimer: This is not a review. These are just my random notes about the film. And of course, I have to disclose that I consulted Google from time to time while writing this because I only have so little knowledge about the franchise and the books. And so here goes my notes. I really wanted to watch the first installment of “The Hobbit” because: one, I wrote about it being filmed some two years ago for Austin Post and I learned it’s gonna be epic; two, I watched LOTR and I somehow liked the films (mainly because of Aragorn, though); and, three, I was curious why the Catholic Church was supporting it and even sponsoring a series of premiere showings. Just like LOTR, I knew I would understand half of it at most. So I was prepared to be intimidated again by J.R.R. Tolkien (which is the reason why I can’t muster the courage to read him). That man was one heck of a writer. He wouldn’t have earned the phrase “Tolkien’s legendarium” for nothing. The man invented his own languages, for chrissake. Genius. Plus, a whole new world called Middle Earth, all those details. Pure genius. Someday I’m gonna find the courage to read his works. I just have to. And so we watched Gandalf and the 13 Dwarves plus a Hobbit. Surprisingly, I understood the film! Well, I think, it helped that it’s Rated G.
Not only did I understood more than half of it, I even enjoyed it. The script is fun and it doesn’t intimidate a person like me who has not read a portion of any of the books. 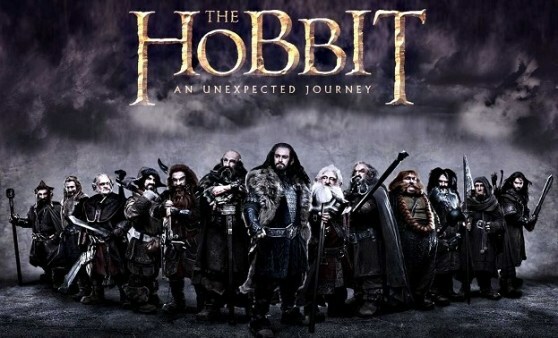 Peter Jackson brought us all to an enchanting new world in LOTR and he did it again in this film. It is truly a feast for the eyes. This got me excited to read the novels, actually. And perhaps see New Zealand? We watched it in the regular format. I wasn’t sure if there is a 3-D version, but the apparent top view shots say it was shot for 3-D. Glad we didn’t see it on 3-D, though. I sure would have felt dizzy. During the first part of the film I exclaimed, “Musical pala ito? !” But those are really nice scenes. Thorin can sing! Seeing the young Frodo was a delight, too. I was hoping Aragorn would show up. Of course, he wouldn’t, silly me. This is a prequel. Thorin awfully looks like him, though. Look! Okay fine, pareho lang silang long hair. And, as you all may know, I (may) have a thing for guys with long hair. 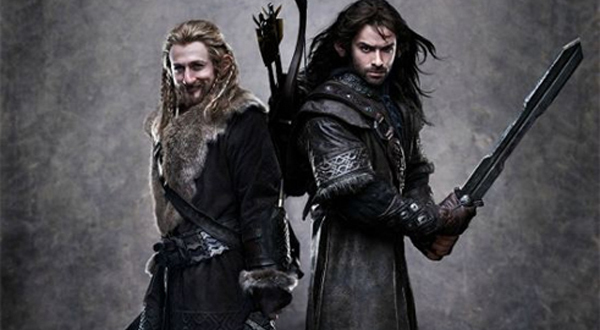 Case in point, napamahal sa akin sila (wait, I have to consult Google for the correct spelling of the names) Kili and Fili. Hottie Alert! 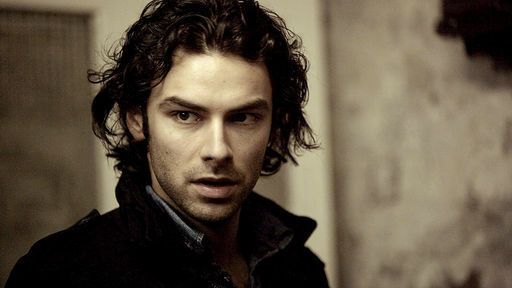 Aidan Turner, playing Kili in the film, is adorable. I also enjoyed the Trolls scene and I call them the Gourmand Trolls. “Everything tastes like chicken!” That was hilarious. Gandalf, being a wise man, delivers quotable quotes, the kind of quotes you can tweet and use for Facebook status. Oh, before I forgot about Galadriel… Oh, my! What potion did Cate Blanchett has? Her beauty is timeless, ethereal even. The fight scenes of the mountain giants give a new meaning to “pound for pound”. Their riddle game, which Bilbo hopes to win to make himself “un-lost”, gives the movie some more heart. I didn’t understand most of it, though. But it gives the movie that warm fuzzy feeling towards Gollum/Smeagol. Hearing the word “precious” seems to put every fan of the franchise at home again. Bilbo’s character is convincing in a very lovable way. I believed him when he confronts the doubting Thorin and says, I would have doubted myself, too. That dialogue about home hits the spot and would really make someone go, Aww. This entry was posted in Spud Times, You Might Wanna See This Too and tagged Bilbo Baggins, films, Gandalf, JRR Tolkien, movies, Peter Jackson, The Hobbit. Bookmark the permalink. She’s on eBay right now! !